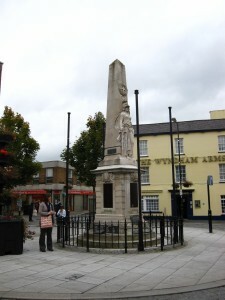 In 2009 we visited Wales and spent a day in Bridgend. I was hoping to discover more about my great-uncle Alfred Mansel Young who died in the First World War. From my limited information I knew he was at 9 Graig, Newcastle Hill and his occupation was an Assistant at the Bottling Stores, Brewery at the time of the 1911 census. The Graig still exists so off we went. Unfortunately only one side of the street survives, and of course it was the wrong side! 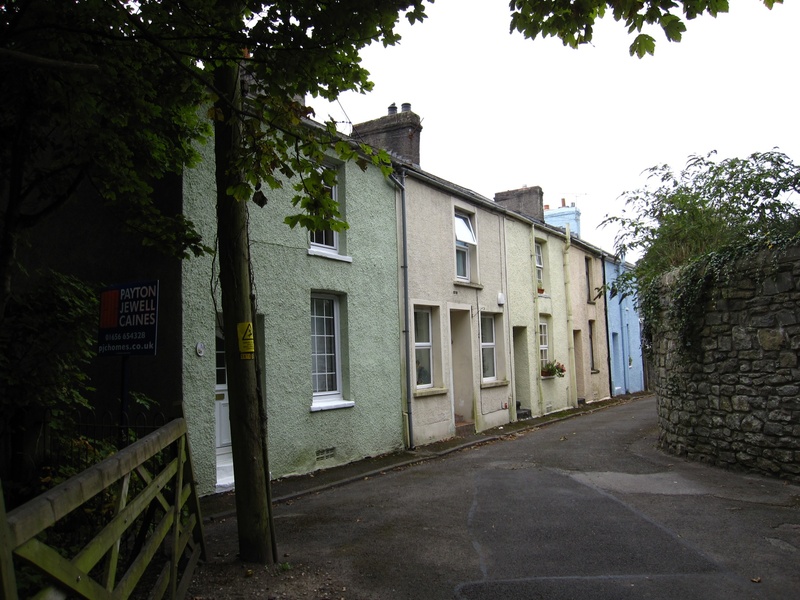 However, the street was quite pretty and I presume the houses on the other side were of a similar size and age. We then visited the local history centre to look at local newspapers. Despite reading issues from throughout the war we couldn’t find any record of my great-uncle’s death during the First World War, this was quite surprising as he has joined a local regiment and also very disappointing. Our final trip of the day was to view the War Memorial in the centre of Bridgend to see his name inscribed on it. I noticed that there was also a J Underhill and R.A. Underhill listed on the War Memorial. I wonder if these were relations of his as the family he was living with shared this surname?